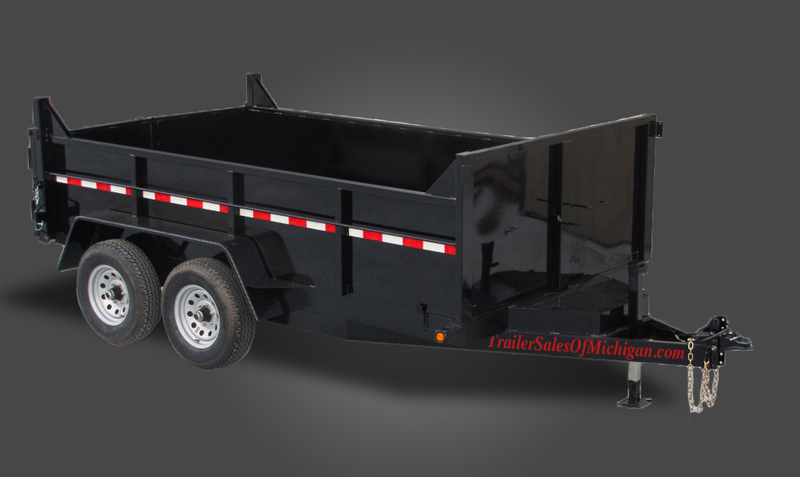 12000 GVWR Dump Trailer 12 ft. x 82 in. This Deluxe 12′ dump trailer is fully self contained and features dual hydraulic 3″ cylinders and two-way combo tailgate with slide-in loading ramps. 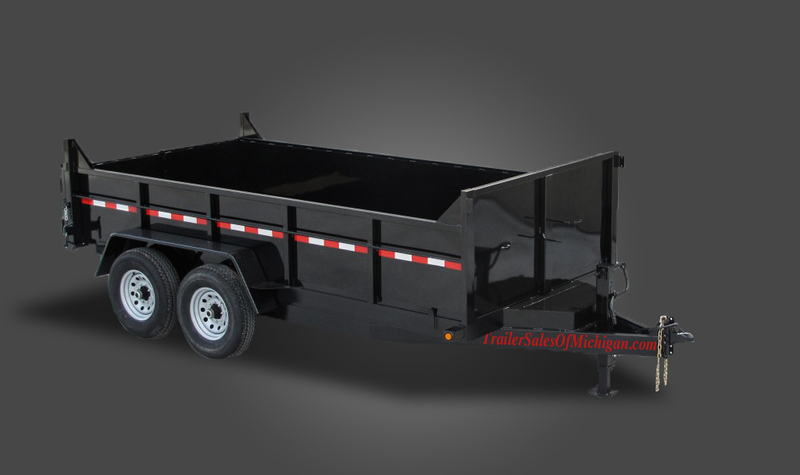 15000 GVWR Dump Trailer – 14 ft. x 82 in. Our highest capacity dump trailer. This model is equipped with all our best features and is an outstanding value!